Organizations today are asked to solve increasingly complex problems with fewer people and less money. Many look to enterprise resource planning (ERP) to accomplish this goal. ERP systems provide a single integrated resource that centralizes all main data and transactions required for business operations. This creates real-time awareness and coordination of data, enabling companies to act quickly and accurately. No matter what stage of an ERP implementation your company is in, Islington Technology Group can make it a success. Perhaps you’ve been running SAP for 5 years and want to add another module, or you may have decided to implement Oracle ERP. ITG’s consultants have years of experience implementing ERP systems at both global companies and small to medium businesses. 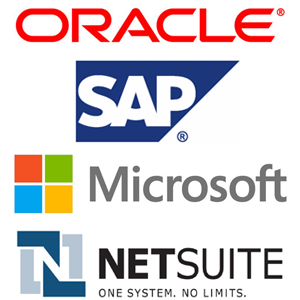 Our team of ERP experts can manage any aspect of an SAP, Oracle, Microsoft Dynamics, or other major ERP implementation. Starting with implementation but continuing to maintenance and optimization, ITG’s experienced consultants act as a supplement to the client team. They bring the knowledge and skills required to deliver on time, follow industry best practices, correctly configure and implement, and manage organizational change. These skills decrease the project implementation time and increase the success rate.